Some people may be opposed to gambling, but the friendly wager between U.S. Senator Ben Sasse (R-Neb.) and Independent Journal Review’s Benny Johnson is one thing we can all get behind. In November 2016 the two had a back and forth humorous exchange on Twitter that ended with a bet on the football game between the University of Iowa Hawkeyes and the University of Nebraska Cornhuskers. This was the second year the two had made a bet. The first time Ben Sasse lost the bro-bet and was forced to wear an Iowa Hawkeyes’ pin in the Senate committee hearings. When Benny Johnson took to Twitter this year to remind Ben Sasse of his embarrassment, Sasse replied he was too busy serving people to deal with the “two-bit” journalist’s taunting. Sorry, no time for your taunting. Sen. Sasse had taken to driving for Uber when he was home as a way to get to know his constituents and learn what they really thought and were concerned about. I like to work alongside and for Nebraskans. Benny Johnson was not going to let Sasse get out of a bet that easily and took his response as a challenge to drive for Uber. Ben Sasse jokingly questioned Johnson’s ability to pass a background check and officially laid down the challenge. IF–& this is yuge "IF"
Terms were laid out and the loser would have to drive for the opposing team on their campus in that team’s gear (personally I think driving in their own team’s gear would have lead to more heckling). But loser has to drive in the opposing team's gear on the opposing campus. Hope you like looking at yourself in #Husker gear. 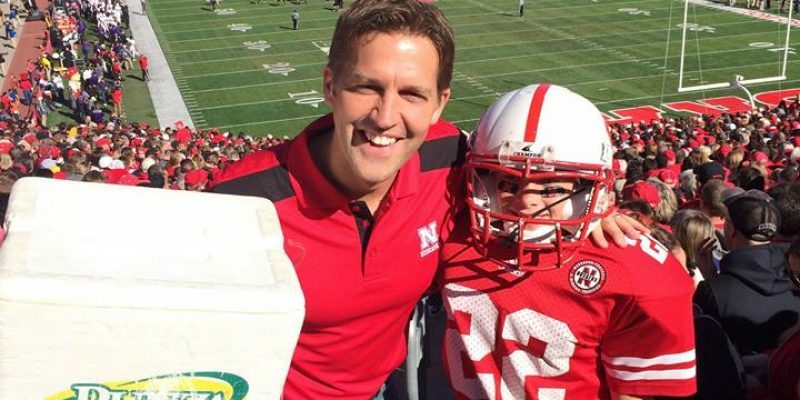 Well on that fateful Friday in November Sen. Ben Sasse’s Nebraska Cornhuskers lost. No, they didn’t simply lose. They were destroyed by the Iowa Hawkeyes 40-10. HA HA AH AH AH HA HA HA HA HA HA HA ***breathes***HA HA HA HA HA AH AH AH AH AH This is going to be a great week. You're welcome Iowa & America. Benny John is taking full advantage of Sasse’s loss and rubbing salt in that would quite well to the enjoyment of us all. When you realize Larry the Cable Guy is following your Ben Sasse Uber adventure for some reason & joins in the most Larry the Cable Guy way possible. Congratulations to Benny Johnson on his second win and better luck to Ben Sasse and the Cornhuskers next year. Comment below and let us know what their next bro-bet should be?